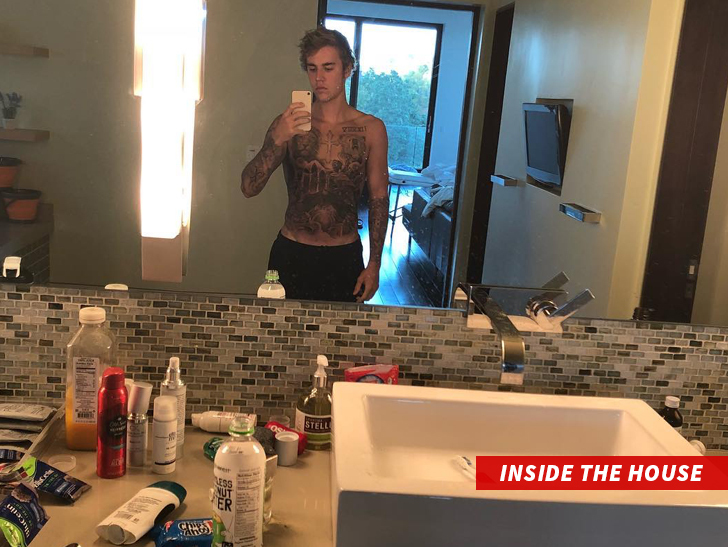 Justin Bieber can't be thrilled about an alleged trespasser on his property -- but he's gotta be stoked about the crib itself, 'cause it's a bachelor's paradise. TMZ has learned Justin's renting the Bev Hills house where an unwelcome intruder has shown up over the past week. He's spending a whopping $55k/month, and one look around the place explains why he'd fork out that kinda dough. It's got 6 beds, 5.5 baths and over 8,600 sq. ft. -- way more house than a single guy like Bieber needs. Not to mention it also has a movie theater, gym, home office, pool and spa, and a fire pit. We're told the pad was rented through You Me Him and Her Rental Properties and CIRG Brokerage Inc & LA Estate Rentals. Oh, and the bathrooms come with their own TVs, or at least the one where JB took this pic does. We broke the story ... a woman was arrested Monday after cops say she was trespassing on Bieber's property, for the third time this week. Our suggestion ... up the security, and park it. This house is too good to leave.